It is a definite challenge to say the least when it comes to pest control in the logistics industry. But thanks to a variety of goods, shipments that are constantly coming in, and various points of entry for just one building, it can put even the best pest control professional to the test. Fortunately, we at PEST are up to the challenge. We fully realize that the facilities involved in the logistics industry have their own set of circumstances which make them unique and of particular interest to certain pests. In addition to carrying germs and spreading disease, these pests can have a severe impact on employee morale and productivity. They can also be incredibly destructive, in some cases. Eventually, the integrity of your building may even be compromised. Location is everything, and that applies to the kinds of pests that can be involved in the logistics industry. 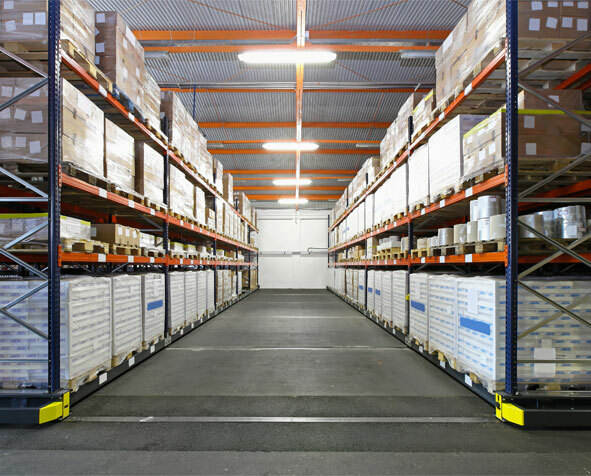 Humidity, terrain, weather and more are all factors which can help determine what types of pests are likely culprits in infestations in warehouses and other specific logistics environments. What is being warehoused is another determining factor that can weigh very heavily, particularly if it involves plant life, seed or grain, or food. Why Do You Need Logistics Industry Pest Control? PEST has developed proven and high-tech methods for addressing the need for pest management in the unique circumstances and settings surrounding transportation vessels and logistics warehouses. We have environmentally friendly programs as well as methods using safe but stronger pesticides when necessary. Through a detailed inspection and evaluation, we will identify your problem, create a plan with which to deal with it, execute that plan successfully ridding you of the infestation, and follow up with regular monitoring to keep future infestations at bay. Don’t let a pest infestation lead to your customers losing trust in your capabilities, increased delays and costs, complaints by your clients, noncompliance violations, or revenue loss from contract terminations. Why Choose PEST for Logistics Industry Pest Control Services? You have plenty to think about what with customer deadlines that need to be met and demanding shipping timelines. Eliminating pest-control from your to-do list is a job that we have not only been doing for years but a task we have mastered. At Pest Elimination Systems Technology, Inc., nothing is left to chance. We will take personal charge of the quality control that is essential to the efficient operation of your facility. A technician will be assigned to your account, as well as a backup technician, who will be allowed sufficient time to treat your infestations, regardless of how long it takes. We are, after all, not just putting a Band-Aid on the problem here. We are treating a severe pest infestation that has no other acceptable conclusion other than complete and total elimination. Give us a call today to set up an appointment so that we can start you on the road to a logistics facility that is completely pest free.